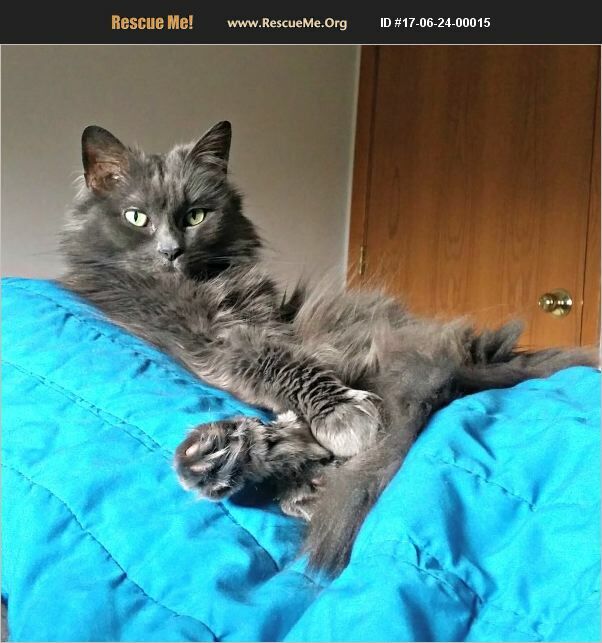 Wisconsin Nebelung Rescue View other Nebelungs for adoption. Tash came to us for fostering from her original family due to her anxiety with the children there. We had hoped she could acclimate to our two cats, but she is still extremely frightened of them after over a year of trying to integrate her. She has been living almost exclusively in our bedroom due to her dire fear of the other cats. She is receiving 1.5 MG of Prozac daily (topical to the ears) & we have noticed a marked improvement in her overall demeanor & sociability with humans. She is extremely friendly with us, loves to be petted & brushed and would like nothing more than to lay on the bed with us all day if she had her way. We want nothing more than to find the best possible home for this beautiful princess.